Star spinel exhibits the optical phenomenon called asterism, a star-like pattern created on the surface of a gemstone when light encounters parallel fibrous, or needle-like, inclusions within its crystal structure. Light that strikes the inclusions within the gem reflects off of the inclusions, creating a narrow band of light. When two or more intersecting bands appear, a star pattern is formed. Depending on the crystal, the star may have four, six, or even twelve rays. When only one band forms, it is classified as a "cat's eye". Star spinel is highly treasured by collectors for its phenomenal quality. Star spinels will contain needles that may show six or four rayed star. 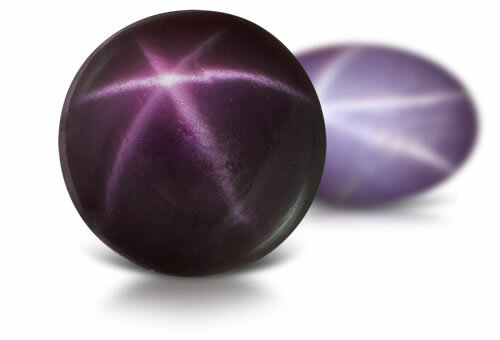 In stones cut as spheres it might be possible to see both four and six rayed stars. Stones might contain natural mineral inclusions like spinel or apatite, negative crystals in the shape of an octahedral and fingerprints.